Age discrimination against employees over the age of 40 is illegal under both Federal and Colorado Laws. Evidence supporting an age discrimination claim includes data showing that older employees as a group are being treated differently than younger employees (i.e., a layoff with a disproportionate number of older employees). Age discrimination can occur although all members are over 40 — i.e., when 40-50 years olds are promoted at the expense of 50-60 year olds. Statements such as, “we need young blood” or “we want to hire only new graduates,” or jokes at work making fun of older employees can be used to help prove an age discrimination case. Reductions in force or layoffs that target older employees often result in age discrimination claims. If a group layoff is involved, employers may be required to provide information about the ages of those laid off and those retained prior to obtaining a valid waiver from employees impacted. Employees terminated in a group layoff are usually provided severance benefits conditioned on signing a waiver and release. Before signing the waiver and release, it is advisable to see an attorney for advice. 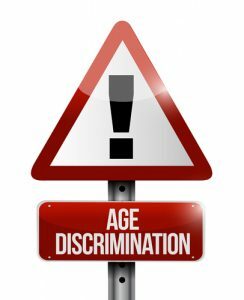 Unlike other types of discrimination cases, victims of age discrimination cannot recover compensatory or punitive damages. Under both federal (ADEA) and Colorado (CADA) law, victims can only recover economic damages and attorney fees. In the event that the age discrimination is “willful,” recovery of double economic damages (“liquidated damages”) is also available.